Jamie Chou is a partner at Cooper, White & Cooper LLP’s San Francisco office. Her practice covers a broad range of corporate transactional and litigation matters, with an emphasis on serving clients in communications, media, cable and broadcast television, transportation, maritime cargo, service, and technology industries. Ms. Chou’s practice focuses on the acquisition, management, operation and sale of businesses; media and First Amendment law; the organization of domestic business ventures; licensing and other intellectual property needs; business counseling; labor law, including negotiating union collective bargaining agreements; and commercial litigation in state and federal courts. As part of her corporate practice, Ms. Chou handles mergers and acquisitions, corporate formations and dissolutions, the negotiation and drafting of commercial real estate lease and sale agreements, IP and proprietary licensing agreements, governmental franchise renewals and transfers, sales, distribution, and marketing agreements, and bank and governmental financings. Her litigation practice includes the defense and prosecution of complex civil cases, including class action defense, multi-district litigation, and appellate litigation in the California Courts of Appeal, the Ninth Circuit, and the U.S. Supreme Court. Ms. Chou has represented clients recently in cases involving alleged business fraud, intellectual property issues, real property law, racial profiling, unfair business practices, breach of contract, and the successful defense of a national class action against a major airline, which was won on a motion for summary judgment. Ms. Chou graduated with honors from the University of California at Los Angeles with a Bachelor of Arts degree in Political Science. She received her J.D. from the UCLA School of Law in 2000. While at UCLA, she participated in the moot court honors program where she was awarded Distinguished Advocate and received high honors for oral advocacy and brief writing. Ms. Chou is fluent in Mandarin Chinese. She is a member of the State Bar of California, the American Bar Association, the Bar Association of San Francisco, and the Asian American Bar Association. She is also a member of Women in Cable Telecommunications and sits on the board for the Chinese American Women’s Business League. She is admitted to practice in the California state courts, the California Northern, Eastern, and Central District Courts, and the Ninth Circuit. 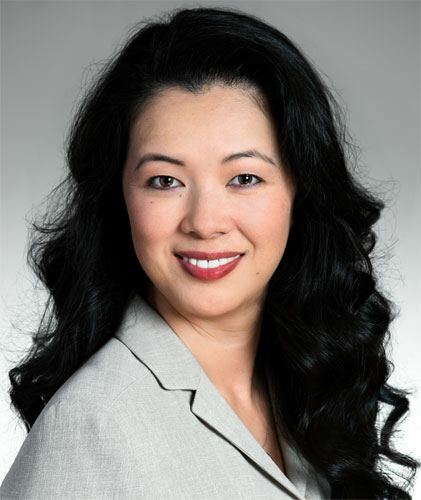 Ms. Chou was selected for inclusion as a Northern California Super Lawyers–Rising Star in 2009 and 2010.